We manufacture Treatment Plants of latest designs to achieve more efficiency and productivity. 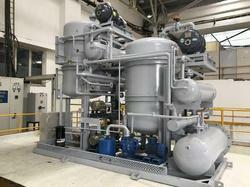 Our Chillers are 40% more efficient and consume 30% less electricity than other Treatment Plants. We provide an integrated cooling system which saves energy and reduces unwanted acid flow between chiller and tank. We manufacture Vacuum Evaporators in all sizes for all types of effluents. Offered by us, theseAnodizing Plants are manufactured as per the set industry standards by using advanced tools and equipment. As per the specifications provided by the customers, these plants can be customised. 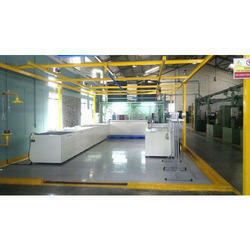 We manufacture both Hard type and Soft type anodizing plants specially for Industrial or Commercial requirements. We are recognised as manufacturer of vacuum evaporators. 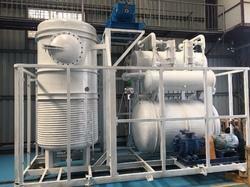 All are evaporators suitable for different TDS, COD, DSS, BOD, chlorides etc. Our evaporators are heat pump-based heating systems and do not require any steam input for heating purpose. Compared to MEE, our unit running cost are very low as no external steam is required. Looking for Treatment Plants ?